Refresh your party wardrobe with this gorgeous white dress. 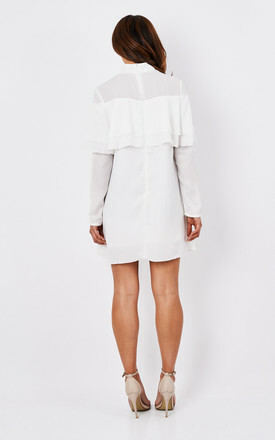 The high neck and ruffle detail give this mini a sophisticated edge. Pair with your fave party shoes and you're ready to go!